Epitaph, Labuan Memorial, Panel 19, Age 22. Victoria Point, Kendau 4.8km, Thetkaw, Meiloe 75km, Augganaung. Front Taffy Jones, Cyril Anderson, Jock Leith, Chris Mc Lennan, Les Marriot, Ern Ricketts, Paddy Byrne. S Morris, Bert Fidge. WEBB, Private, FREDERICK WILLIAM, WX9829, A.I.F. 2/4 M.G. Bn., Australian Infantry. 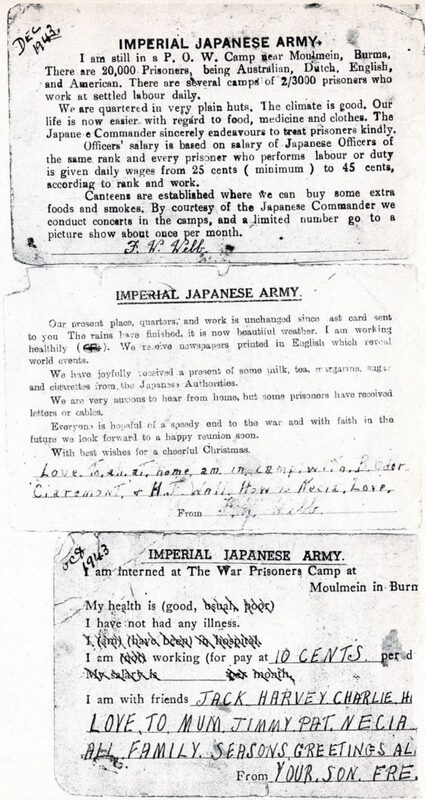 12 September 1944. Age 22. 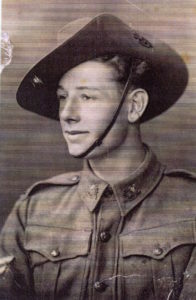 Son of Thomas and Doris Webb, of Claremont, Western Australia. Panel 19. 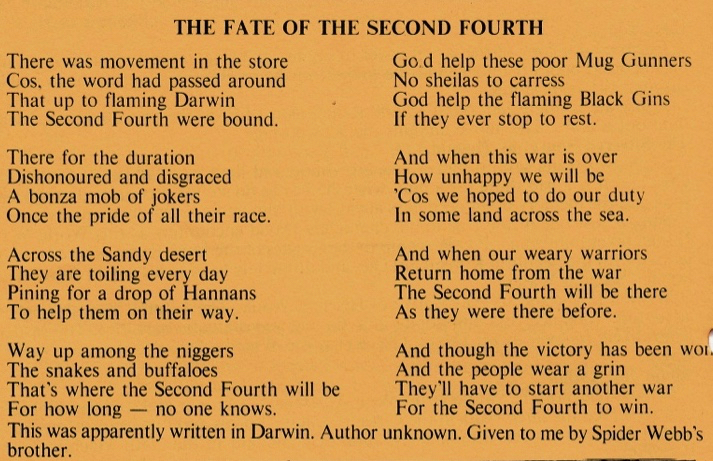 This poem was passed onto a Committee Member of 2/4th by Spider’s brother and printed in July 1990 Borehole Bulletin. Spider was selected to work on Burma end of Railway with ‘A’ Force Burma, Green Force No. 3. Please read further. This Force sailed from Singapore 14 May 1942 for the south wear coast of Burma. 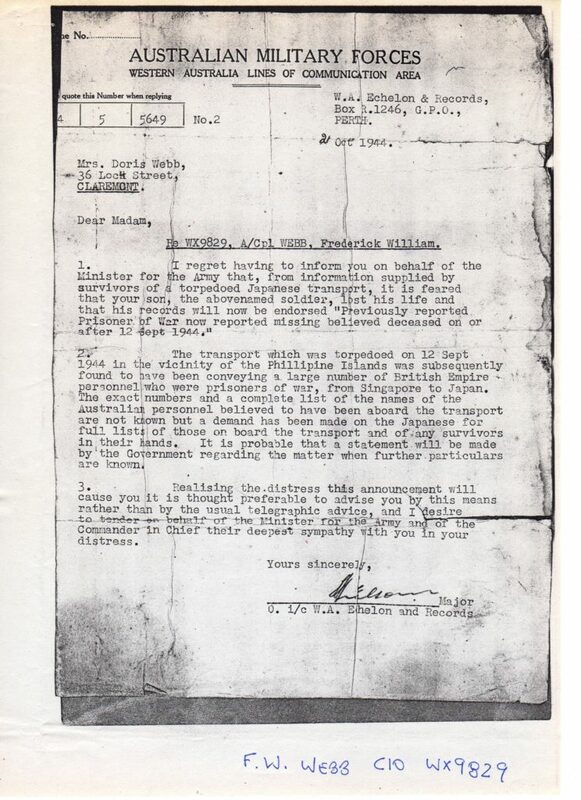 1,000 POWs under leadership of Major Charles Green of 2/4th disembarked at Victoria Point on 21 May 1942, where most of the men were engaged in repairing and enlarging the aerodrome, a smaller party remained at Victoria Point wharves unloading and loading supplies for Japanese, mostly fuel. They joined the larger group and together the group eventually made their way to the northern most end what was to be Burma-Thai Railway. The commenced work at Thetkaw 3.8km 1 October 1942 – the first group working on the Burma end.